India was the 5th largest producer of crude steel in the world in 2010 (according to World Steel Association) and is poised to become the 2nd largest producer by 2015-16, provided all requirements for fresh capacity creation are met. The domestic crude steel production grew at CAGRG of 8.4 per cent between 2005-06 and 2009-10. This growth was driven by both capacity expansion (from 47.99 million tonne in 2004-05 to 72.96 million tonne in 2009-10) and improved capacity utilization. India, is also the world’s largest producer of direct reduced iron (DRI) or sponge iron, is expected to maintain this lead in the near future. Sponge iron production grew at a CAGR of 11 per cent to reach a level of 20.74 million tonne in 2009-10 compared to 14.83 million tonne in 2005-06. From a negligible global presence, the Indian steel industry has come forward to a new age and is now globally acknowledged for its product quality. As it traversed its long history during the past 64 years, since independence, the Indian steel industry has responded efficiently to the challenges of the highs and lows of numerous market cycles. The Indian Steel Industry has withstood international competition despite the reduction of basic customs duty on steel from 25-30% in 2002-03 to 5% currently. The industry now operates in an open economy where exports and imports respond to increases or decreases in the domestic demand driven primarily by market signals. From the year 2002, the global industry turned around, helped to a great extent by China, whose spectacular economic growth and rapidly-expanding infrastructure led to soaring demand for steel, which its domestic supply could not meet. 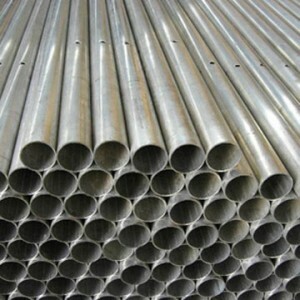 At the same time, recoveries in major markets took place, reflected by increase in production, recovery of prices, return of profitability, emergence of new markets, lifting of trade barriers and finally, rise in steel demand worldwide. “Urbanization and industrialization have supported a phenomenal growth in China’s steel demand over the past decade. The fundamentals underlying China’s growing demand will remain robust, driving this demand into the next decade. India is expected to follow China’s lead, and increased controls on its export capacity and early signs of increased steel intensity suggest its emergence as a major market will continue’…..RioTinto, 2010. 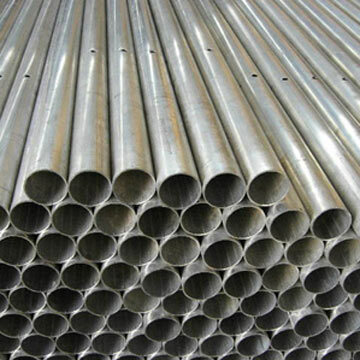 India’s National Steel Policy (formulated by Ministry of Steel) long-term objective is to ensure that India has a modern and efficient steel industry of world standards, catering to diversified steel demand. The focus of the policy is to attain levels of global competitiveness in terms of global benchmarks of efficiency and productivity. The National Steel Policy 2005 had projected consumption to grow at 7% based on a GDP growth rate of 7-7.5% and production of 110 million tonne by 2019-20. These estimates will be largely exceeded and it has been assessed that, on a ‘most likely scenario’ basis, the crude steel production capacity in the country by the year 2012-13 will be nearly 110 million tonne. The crude steel performance has been contributed largely by the strong trends in growth of the electric route of steel making, particularly the induction furnace route, which accounted for 31 per cent of total crude steel production in the country during 2009-10 and has emerged as a key driver of crude steel production. Corporate Social Responsibility (CSR) has been identified as an important parameter in the MoUs since 2007-08. CSR activities focusing on environmental care, education, health care, cultural efflorescence and peripheral development, family welfare, social initiatives, including sports activities and other measures are under implementation. All profitable public steel companies have earmarked at least 2% of their distributable surplus for CSR activities since 2007-08. During 2011, the strong demand for steelmaking ingredients worldwide was accompanied by major issues on the supply side. Major steel companies are following vertical integration into their business. Iron ore deals represented 11.8% of M&A, measured by value (up from 10% in 2010) and 5.6% of deal volumes (down from 9% in 2010). Iron ore targets were spread across the globe with Canada being the most targeted nation—28% of the targets by volume were domiciled there. Australia (12%), China (10%) and Brazil (8%) were the other nations with notable takeover volumes. New frontier geographies were also targeted due to their proximity to emerging market nations that demand iron ore but also because of escalating production costs in developed regions. “China’s 12th five-year plan for 2011-2015 continues to support the drivers of commodity demand, including iron ore, coal and copper. The social housing program, involving the construction of 36 million units, out of which 10 million are scheduled to take place in 2011 and another 10 million in 2012 will add strength to the property market and iron ore demand from 2H11 onwards.”……Vale, 2010. The rejuvenated steel market in the country has already witnessed the announcements of mega expansion plans of leading domestic producers in the form of Greenfield and/or Brownfield projects in different parts of the country. According to PwC, securing supply will be India’s chief concern, many Indian-led deals will resemble typical China-led deals from the 2000-2007 period, often structured as private placements (debt or equity) with offtake or royalty agreements. The decision of Posco, South Korea, to set up their 12 million tonne integrated steel plant in Orissa, a state in eastern India has given the Indian steel industry a feel of what ‘globalization’ is all about. This was soon followed by Mittal Group’s announcement of plans to set up their 12 million tonne integrated steel unit in Orissa. The domestic Indian steel producers (both public and private sector) also are not lagging behind and are foraying into other parts of the world to have their footprints by acquiring mines and other steel companies, actively in Africa, Australia, USA and Europe. Indian conglomerate TATA Steel’s $12 billion acquisition of Anglo-Dutch giant Corus Group Plc, transformed TATA Steel Ltd. into a major global steel producer, which may well be regarded as a benchmark even in the history of the Indian steel industry. Such developments only prove that the Indian steel industry has entered a mature phase. Sources: Ministry of Steel; India, The Hindu, Annual Reports 2010 (RioTinto, BHP Billiton, Vale, Tata Steel), The Economic Times, Mining Deals 2010-PwC, Tracking Trends 2012-Deloitte etc.